Right now, a mining company named Teck Resources is pushing hard for approval to build the largest mining project proposal ever in the Alberta tar sands. A federal-provincial Joint Review Panel established by the Canadian Environmental Assessment Agency and the Alberta Energy Regulator recently started hearing from intervenors speaking out about Teck’s Frontier mine. If the $20 billion mine is given the green light it would operate for more than 40 years, and its damaging impacts to water, climate, and downstream communities would be felt for much longer than that. This massive project isn’t getting nearly the national attention it should. When it is at its maximum production level of 260,000 barrels of bitumen per day, the Frontier mine would produce the same amount of greenhouse gas emissions as roughly 10 million new cars on the road. Can you imagine all of that extra pollution? It completely contradicts Alberta’s oil sands cap, our federal climate targets, and our commitments to the Paris Agreement. The Mikisew Cree First Nation, Smith’s Landing First Nation and the Athabasca Chipewyan First Nation and others have stated the mine would harm their territories and livelihoods, but Teck has shown little regard for their concerns. These Indigenous communities are already experiencing devastating cumulative impacts from other tar sands projects, including contaminated water, higher than normal cancer rates, and the loss of their traditional food sources. Like other tar sands mining companies, Teck likes to say they will create good jobs. But in reality, their mine has a very low profit margin, and to make up costs they’re expected to cut corners on workers’ rights. Many of the jobs at the mine are also expected to be fly-in, fly-out, which come with social costs for workers and communities. And like other mining projects, water will also be at risk. Teck’s plans for the Frontier mine include tailings ponds and water withdrawals from Lake Claire, which feeds the Peace-Athabasca delta and the Wood Buffalo Park World Heritage Site, Canada’s largest national park. The Wood Buffalo Park is already close to losing its UNESCO status because of ecological deterioration. The mine would be built on land that is critical to endangered caribou and bison and require clear-cutting an area 292 km2, approximately twice the size of Vancouver. Teck’s Frontier mine puts too much at risk. When you look at the cumulative effects of tar sands projects you see how far we have strayed from protecting our environment and creating a safe and healthy future by acting meaningfully to curb climate change. But you can directly help to change that today. Chip in a donation to help the Council of Canadians stand up to the largest single tar sands mine ever built. Every dollar you give will directly help to oppose this destructive project and advocate for the people whose lives, communities, water and land are threatened by it. With generous support, we brought your concerns directly to the Joint Review Panel on October 2, 2018 and highlighted all of the harmful impacts the Frontier mine will cause, and continue building vital grassroots resistance alongside local groups. In order to ensure a better future for us all, now is the time we must move away from dirty tar sands oil and towards a sustainable energy future. The Council of Canadians will be presenting as an intervenor next week in the federal-provincial Joint Review Panel’s hearings on Teck Resources’ proposed Frontier Mine. 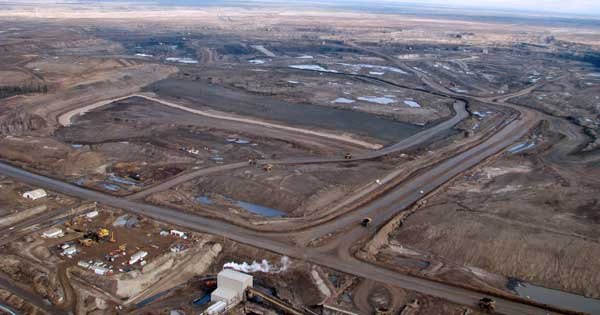 The Teck Frontier mine is the largest tar sands mine ever proposed. It would cost $20 billion and operate for 41 years. The Council of Canadians will be acting as an intervenor in the Joint Review Panel hearings for the project in Fort McMurray in September because it's unacceptable across every metric we can think of.